Bruno Vandenborre is an expert in information and data modelling with over 22 years of IT experience. Born and educated in Belgium, Bruno received his Masters in Computer Science from the KULeuven in 1989. After doing research at the university on load-balancing in distributed heterogeneous network environments, he was selected as a United Nations Data Processing expert and sent to the Nigerian National 1991 Census. Following the successful completion of the project, he immigrated to South Africa in 1993 and started working as a contractor designing and implementing client-server relational database systems. 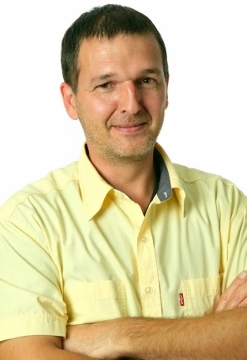 Bruno joined South African Breweries (SAB) as a Data Architect in 1995 and was part of the team responsible for designing and implementing SAB’s the first national data warehouse. In 2001 he co-founded Real IRM Solutions where he currently serves as a specialist trainer. In his previous role as a consultant, Bruno has worked with various companies including Eskom, Investec, Johnson & Johnson, Bausch & Lomb and SAB. Bruno is TOGAF® 9 and ArchiMate 3 certified. ArchiMate® 3.0 - Trick or Treat?